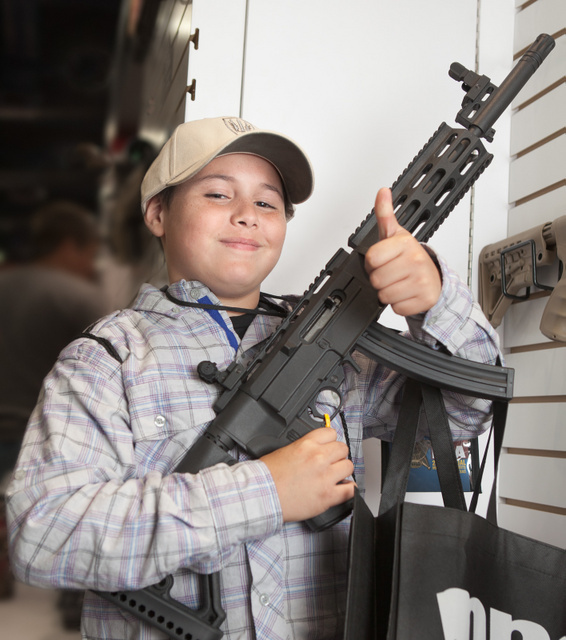 This boy, at the show with his grandfather, was excited about an aftermarket stock for his 10-22 that was a perfect fit. 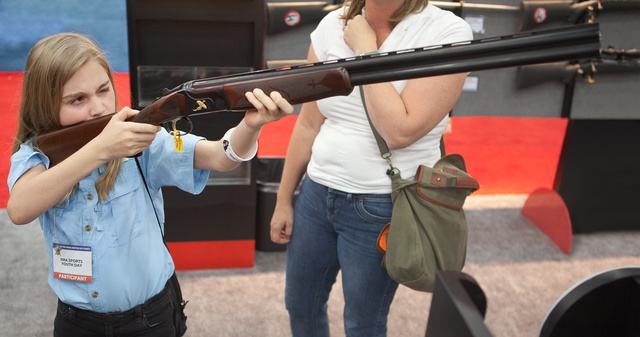 The girl, at Savage Arms booth with her mother and older sister, was trying out a Stevens 512 over/under 12ga shotgun. The next generation was very much in evidence, and acquitted themselves very well. This entry was posted in interesting people, rifle, rkba, shotgun and tagged kids, NRA, parents. Bookmark the permalink. 5 Responses to Encouraging sights at the NRA convention. Loved seeing all the kids there. They were all well behaved and polite. Gives me hope. Amazing how well-behaved kids are at a gun show, vs kids you see at Walmart, the mall, or the grocery store. And guns are supposed to be evil, ya know! I recently volunteered at a Texas Youth Hunter Education Challenge meet. Same experience.